Introduction: Temporomandibular disorders (TMDs) present several risks and different contributing factors with consequently diverse treatment approaches. It is important to recognize what patients’ characteristics may benefit from orthodontics, from physiotherapy, from other treatment modalities or even from a combined approach. Cases presentation: We present three cases of patients with common TMDs signs and/or symptoms and different treatment approaches and outcomes, and our aim is to understand what might explain the different outcomes observed and also provide a rationale about the skeletal, muscular, facial and occlusal characteristics that may be indicative of a particular intervention benefit. 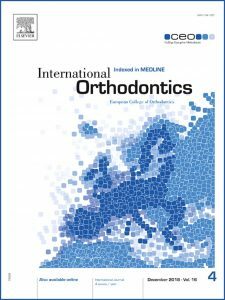 Conclusion: It has been shown that orthodontics plays an important role solving occlusal problems as well as changes in the vertical dimension. On the other hand, physiotherapy was effective in pain management and range improvement, when musculoskeletal changes were clearly found. Finally, it has also been shown that a multidisciplinary approach may be crucial, and the clinician should be aware of a comprehensive assessment, valuing all the contributing factors, namely the psychological ones. This case series shows how similar symptoms may have different causes that should be addressed specifically. It has shown that orthodontics played an important role solving occlusal problems as well as changes in the vertical dimension. On the other hand, physiotherapy was effective in pain management and range improvement, when musculoskeletal changes were clearly found. Finally, it has also shown that a multidisciplinary approach may be crucial, and the clinician should be aware of a comprehensive assessment, valuing all the contributing factors, namely the psychological ones. This study highlights the importance of etiological factors and the need to have further studies regarding TMDs subgroups, so that the clinician may confidently provide the best treatment to his patient.